Be the first to share your favorite memory, photo or story of Darryle. This memorial page is dedicated for family, friends and future generations to celebrate the life of their loved one. Darryle Robert Wayne Cromwell, of Ada Oklahoma, passed away April 4, 2019. He was born to Charles Edward Cromwell and Christena Lorraine Hiller Cromwell of Bradford, Canada on March 2, 1955 in Mount Forest Ontario, Canada. He attended Orchard Park Secondary in Stoney Creek Canada where he studied Chemical Engineering and received his Bachelors Degree and later received his MBA from Queens University. 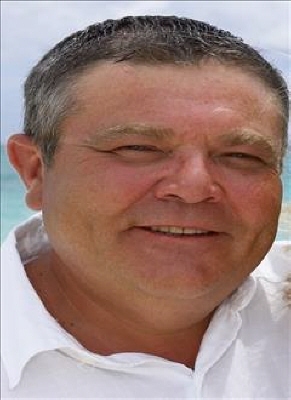 Darryle worked many years for Ford Motor Company in Canada and traveling all over the world as a Professional Manager. Darryle owned and operated Omni Business Consulting. Darryle, loved working, politics, hunting, traveling and spending time with his family and friends. Darryle was a life time member of the NRA and the Republican Party. He married Sandy Loving Cromwell on June 11, 2005 in the Turks and Caicos Islands and became a United States Citizen which he was very proud of. Darryle is survived by his wife Sandy Cromwell of the home, parents Charles and Christena Cromwell of Bradford, Canada, children; Sara and husband Paul Dobson of Canada, Richard and Maria Cromwell of Canada, stepchildren; Austin Johnson, Ada OK, Maggie Johnson of Ada ,Ok , grandson, Hudson Cromwell of Canada, Sisters; Wendy and husband Ken Pelletier of Canada , and Wanda and Steve Vella of Canada. Darryle is preceded in death by his sister Marianne Corinne Cromwell. A Celebration of Darryle's life will be held at a later date. To send flowers or a remembrance gift to the family of Darryle Robert Wayne Cromwell, please visit our Tribute Store. "Email Address" would like to share the life celebration of Darryle Robert Wayne Cromwell. Click on the "link" to go to share a favorite memory or leave a condolence message for the family.